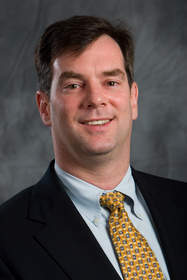 MORRISVILLE, NC--(Marketwire - February 15, 2010) - Tekelec (NASDAQ: TKLC), the IP core network signaling and mobile data management company, has named Vince Lesch as chief technology officer (CTO). In his new role, Lesch will chart the strategic direction for Tekelec's product portfolio. Lesch will also lead Tekelec's efforts in standards bodies and industry forums to facilitate interoperability and speed development of mobile data technologies. Tekelec participates in organizations such as the GSM Association (GSMA), Internet Engineering Task Force (IETF), Open Mobile Alliance (OMA) and 3rd Generation Partnership Project (3GPP). "Our customers require new technologies, economies of scale and foresight to plan for the next wave of network evolution," said Frank Plastina, Tekelec's president and CEO. "Vince combines technical depth, product vision and industry expertise to proactively identify customers' needs and Tekelec's growth opportunities." Lesch joined Tekelec in 2006 and was most recently Tekelec's vice president of product marketing, where he focused on solutions for next-generation and hybrid networks. He brings more than 20 years of experience in telecommunications and software, with a diverse background ranging from large communications services providers such as AT&T to early-stage software startups. His experience also includes Bell Laboratories, Lucent, Predictive Networks, Telcordia Technologies and General Electric in engineering, product management and marketing functions. In addition, Lesch has served on the board of the NGN IMS Forum and the strategic advisory board for Solid Technologies, which was acquired by IBM. "Tekelec is in a unique position to leverage its strong technology base and knowledge of core networks to help service providers efficiently evolve to all-IP networks and services. We are working with operators around the world to streamline network operations, reduce capex and opex, and migrate to 3G and 4G technology at their own pace," said Lesch. He has a Bachelor of Science in Mechanical Engineering from the University of Pennsylvania and a Master of Science in Electrical Engineering from Rensselaer Polytechnic Institute.